The erbium laser can be used painlessly to tighten the collagen in the throat to increase airflow and therefore decrease snoring. Dr. Matthews is integrating "snorelase" as an approved method of snoring reduction. 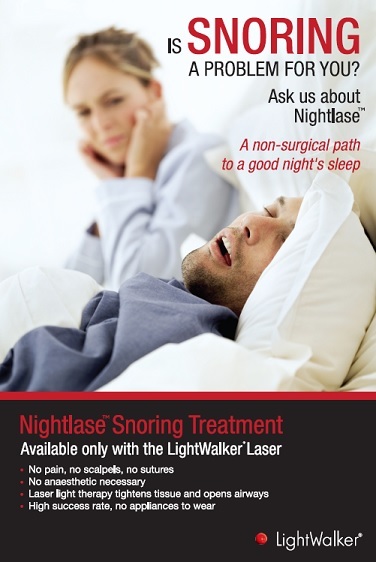 This takes 3 treatments of approximately 30 minutes to painlessly decrease snoring.